by Ben Bova Author · Ben Bova Author of introduction, etc. 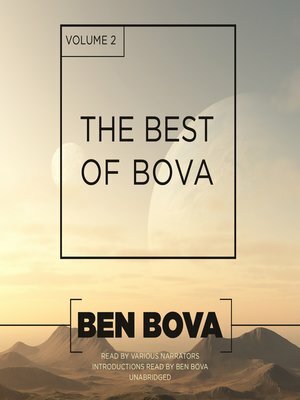 The second volume of the best stories from legendary hard science fiction writer Ben Bova, the creator of the New York Times bestselling Grand Tour science fiction series, a six-time Hugo award winner, and past president of the National Space Society. The stories included in this volume span the five decades of Bova's incandescent career at the center of science fiction and space advocacy.